So last weekend those of us that are parents faced the dreaded, twice annual, mighty scary clock change! Yes the clocks were altered by a whole hour!!! I remember the days when I looked forward to the morning of clock change with great anticipation, any extra hour in bed! 🙌🏼 what wasn’t to love. Well how things change, my husband and I, like many parents in the UK, were left wondering what this change would bring. And, like many parents were looking for any options that might help make the transition a little easier. 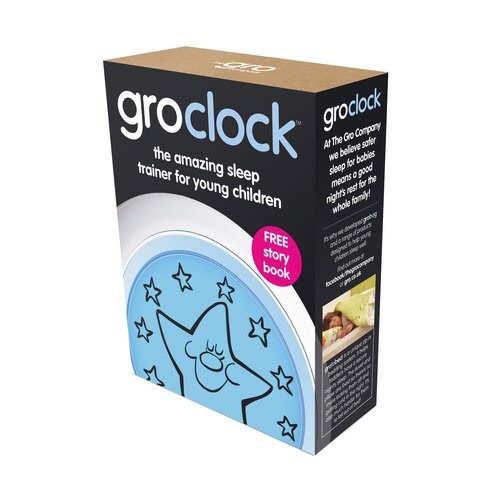 Enter the Gro Clock! 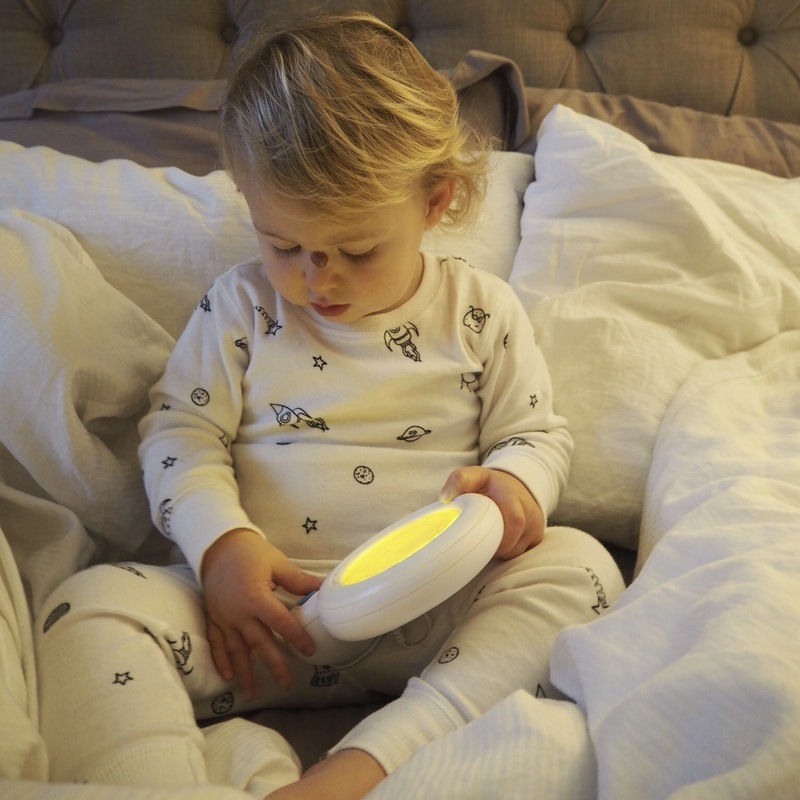 If you haven’t tried one of these they certainly come highly recommended and are an ingenious way of encouraging your children to follow a bedtime and morning sleep routines. So what is it? 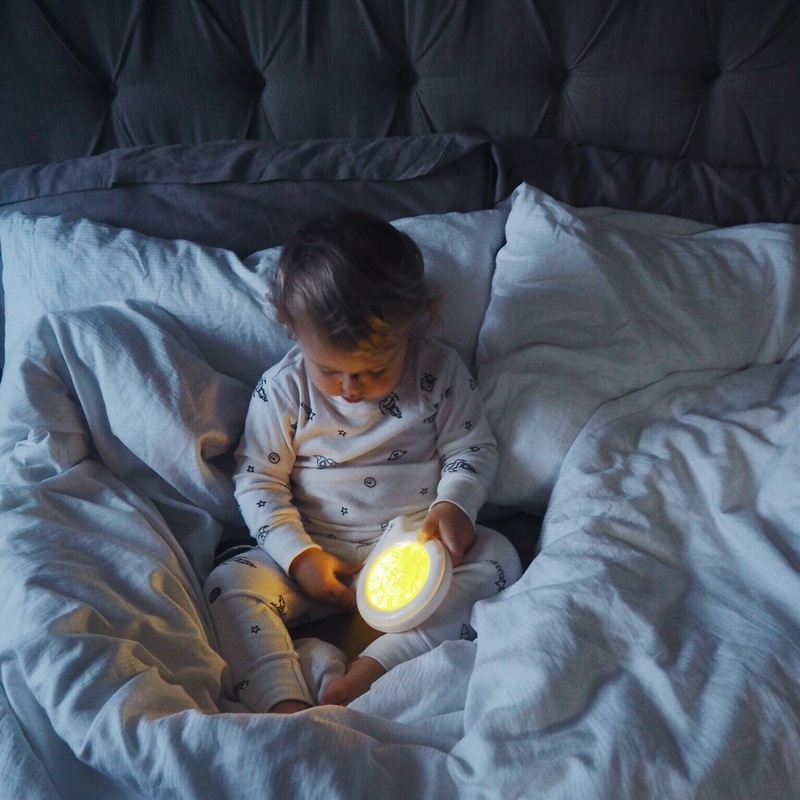 The clock is a child friendly clock which allows the parents the ability to set a bed time and wake time and uses colours and images to help children understand when they should be asleep and when it’s time to get up! The clock can be set to up in a number of ways and gives parents the option of displaying the digital time in addition to the pictures, useful to those older children learning to read numbers and tell the time! 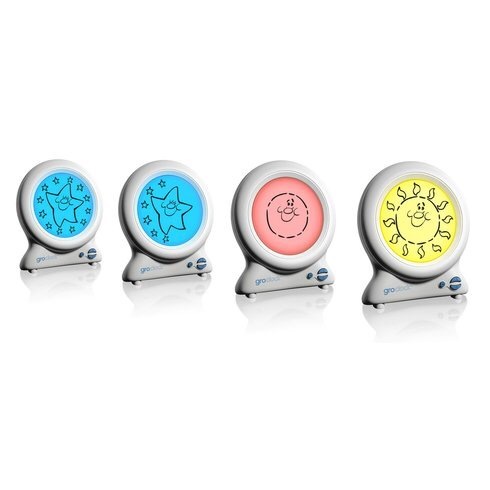 At night (at the parents chosen time) the clock changes colour and displays a moon center turning to a star surrounded by a series of smaller starts, which slowly change as the time ticks by. When morning arrives (again, time set by the parents) the clock glows yellow and the star is replaced by a sun! It shows that it’s time to get up!! The clock is accompanied by a lovely book ‘Sleepy Farm’. 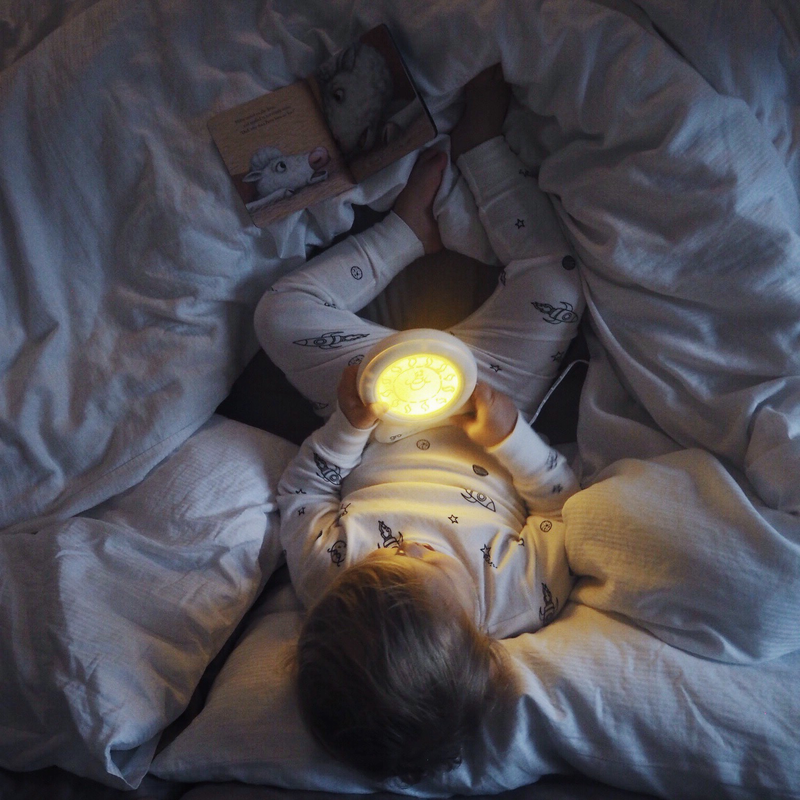 This tells a story to encourage children to sleep well and sleep until morning. 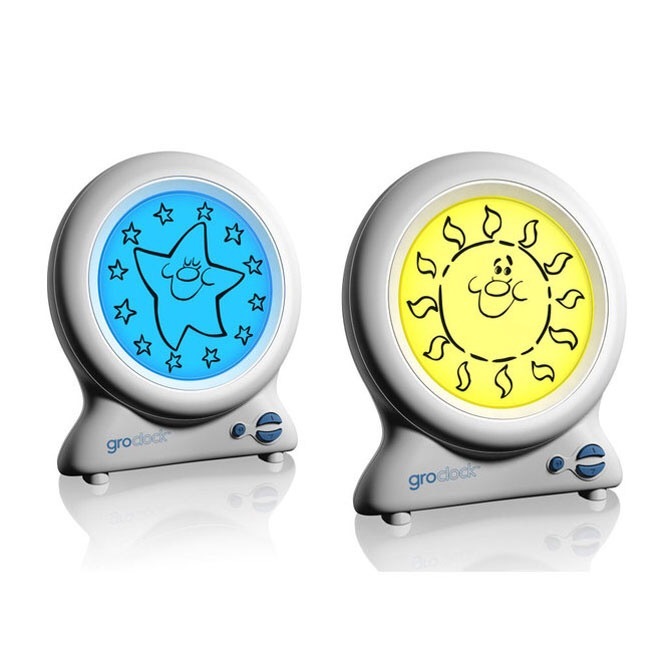 The Gro Company have also created a handy reward chat which can be downloaded from their website to help encourage little ones to follow a routine. A better nights sleep, a little lay in, what’s not to love! 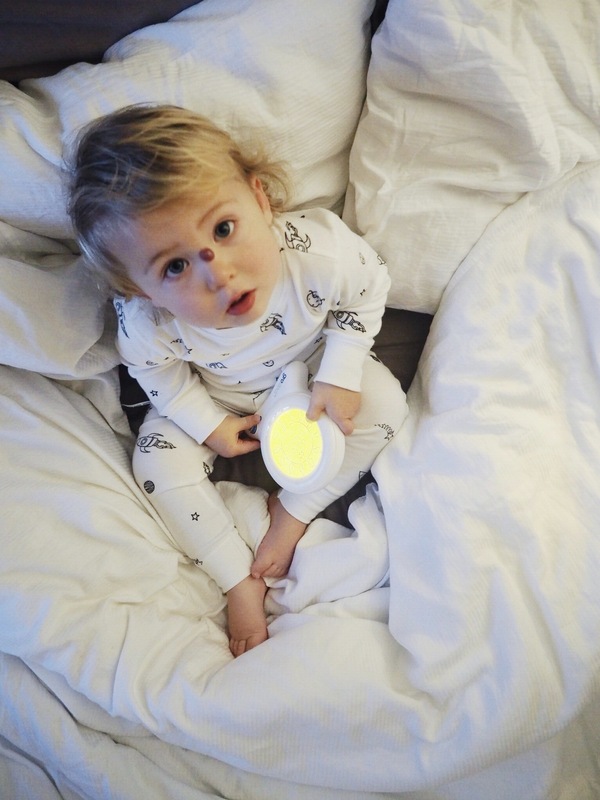 I hope you’ve found this useful, and your little one has made the transition smoothly! This entry was posted in Baby, Family, Harvey, Lifestyle, Maternity, play, Uncategorized, Working mummy and tagged Baby, babytracking, bedtime, Clock, GroClock, instamum, Lifestyle, mama, mom, momblogger, mother, motherandson, mum, mumblogger, mummy, mummyblogger, planning, Pregnancy, routine, toddler, toddlertoys, workingmummy by therusticmother. Bookmark the permalink.